An appeals court in New York decided that mold found in an apartment is ‘toxic’, and that could spell trouble for landlords. Injury attorney Jeffrey Lichtman of Trolman, Glaser & Lichtman in New York, says that the New York appellate court’s recent decision in a landlord negligence case serves as a good reminder that tenants can hold landlords responsible for their injuries. If the case is successful, the result could have significant implications for tenants seeking to sue their landlords for health issues related to mold in rental properties. The case was brought by an apartment dweller against the property management company of a building where she lived for six years. The former tenant claims that she developed physical symptoms, including dizziness, rashes and respiratory problems after being exposed to mold in her apartment. The mold, discovered underneath the apartment’s floorboards, is believed to have been caused by previous water damage. 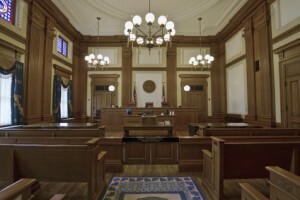 The trial court originally dismissed the case, unconvinced that the mold was toxic. But on appeal, the higher court examined information from a medical expert and evidence from scientific studies that suggested that the mold in the apartment did, in fact, create the woman’s respiratory problems. As a result, the appellate court has allowed the lawsuit to go forward. Lichtman notes that while it is difficult to determine the exact impact this ruling will have because the case still has to be tried, a successful result could have significant implications for tenants seeking to sue their landlords for health issues related to toxic mold. Landlords will need to demonstrate added vigilance in tackling mold problems as soon as they occur, and take steps to eliminate maintenance problems that could lead to mold. Lichtman advises tenants that their landlords are responsible for keeping their buildings safe, and when negligent maintenance occurs and someone is injured, then those owners can be held responsible. Clear ice and snow from sidewalks in a reasonable amount of time after inclement weather. When landlords fail to properly maintain the premises, and an injury occurs, tenants have the option to pursue a personal injury lawsuit, Lichtman says. The premise liability lawyers at Trolman, Glaser & Lichtman have represented thousands of injured New Yorkers in the past 40 years and have obtained more than $1 billion in settlements and verdicts for their clients.